Distance from coast About 13kms, as crow flies. Every industry has a couple of legends. Ours is no different. Reputations always precede the introduction and I had therefore heard a lot about Ant, before meeting with him. He has, among others, the auspicious title of Young Farmer of the Year 2015 and yes, I was intimidated and nervous about how best not to waste this great farmer’s time. Now might be a great time to also introduce you to my close friend Murphy. No matter how I try to shake this degenerate, he always finds a way into my best days. I had decided to leave home 2 hours before the planned meeting, despite Google Maps advising that it was a 1h 14min journey. All was going swimmingly when, about 10kms before my freeway exit, there was a crisis at another business I am involved with. Murphy took the opportunity and we missed the Tongaat offramp. And, for good measure, he somehow scrambled my Google Maps. Still distracted by the crisis, and knowing I had allowed more than enough time for any slight deviations, I merrily took the Ballito exit and headed inland. By this time, Murphy had slipped into the driver’s seat, had full command of Google Maps control centre and we were running out of time. Eventually, on the verge of tears, I phoned Ant. Ten minutes later, I phoned again and this time had him try and locate me via a stranger I had captured from the roadside. Murphy and I had gone 25 kms in the wrong direction and time was up. I was never going to be any less than 20 minutes late. Yes – in my life, this is a completely unacceptable disaster! I don’t do late, EVER. Even when I try to pull off the fashionably late entrance, the best I do is arrive on time. I was beyond devastated and, if I hadn’t needed my phone to stay in comms with Ant, I would happily have launched it, and its defective GPS, into the stratosphere. Anyway, we arrived at Evelyn Park farm the predicted 20 minutes late, to a welcoming COMMITTEE! Not only had I kept Ant waiting, I had kept his wife, his mom and his entire management team away from their work as well. If I wasn’t intent on sharing Ant’s story with all you wonderful SugarBytes readers, I would have gladly dug myself a hole and climbed in, right there. If I didn’t apologise enough then, I am happy to once again say “I’m SO sorry” to every one of you amazing people who honoured me with your greeting and welcoming introduction to your phenomenal enterprise. 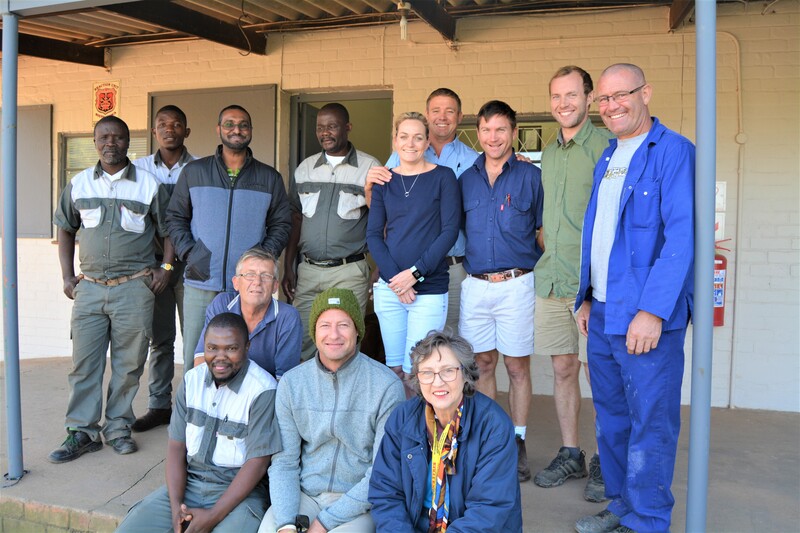 This is the team: back row, left to right – Thembinkosi (Cane section manager), Simiah (Agronomist focused on Fertilising and Herbicides), Shafaad (Admin & HR), Last (Orders & collections), Tanya Goble (Admin, Ant’s wife and real boss), Ant Goble, Quinn Klusener (Sugarcane), Griff (drone-man), Colin (fencing and maintenance). First to scramble back onto schedule was Tanya, Ant’s beautiful wife. 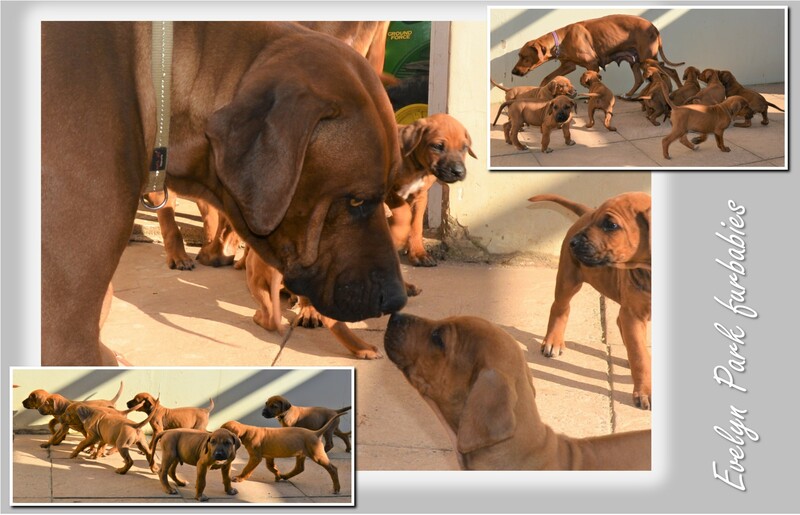 She had to get eleven 6-week old Ridgeback puppies to the vet but allowed me a quick peek at the precious bundles first. Ant is a sixth-generation farmer. That, right there, is a whole lot of knowledge accumulation that is probably ingrained genetically after all those years. The Gobles arrived in the area in 1854. My head goes straight to land claims and gives a great big thumbs up that, because this is way before 1913, there are obviously no issues here. Not so! All this land was gazetted 14 years ago and Ant has been battling away, in court, for the last 2 years. Ant’s dad passed away in 2000, while Ant was at university studying Business Science. His supremely capable mom continued to run the farm until Ant came back in 2004 to take over the reins. That was when the farm was gazetted and I am so impressed at the wisdom Ant showed in that first year: he decided not to stop farming. So many farmers cut back and retard their enterprises, just waiting out the time until a pay-out is made and the farm is taken – this leaves a compromised operation that requires considerable investment to restore. Ant chose, instead, to farm like he was going to be handing this business to his children. Which, it now appears he will be. This month should see a final judgement, confirming the invalidity of the claims, and a welcome plug in the legal costs drain. Hoorah! The upside is that the research and investigation has left the Gobles with pictures and documents illustrating their heritage, which adds foliage to a proud family tree. There are even some field records from the 1850’s which are wonderfully interesting to the farming side of Evelyn Park. Nice to be able to look back almost 160 years to see how far you’ve come! Little wonder that this area is often called “Goble country”. Ant’s brother Geoff, has also recently joined the business, as CFO. Initially, he wasn’t intending to become involved in farming, preferring instead to venture into the financial world. But Evelyn Park has now become big enough that Geoff can still live in a numbers world, and do it in the family business. Today happens to be Geoff’s birthday, hence his absence from the team photo – Happy Birthday Geoff! Time to get the pedigree on Quinn … he’s a Klusener, from North Coast. He’s grown up on sugar cane farms. His Dad is currently farm manager for Anthony Balcomb. 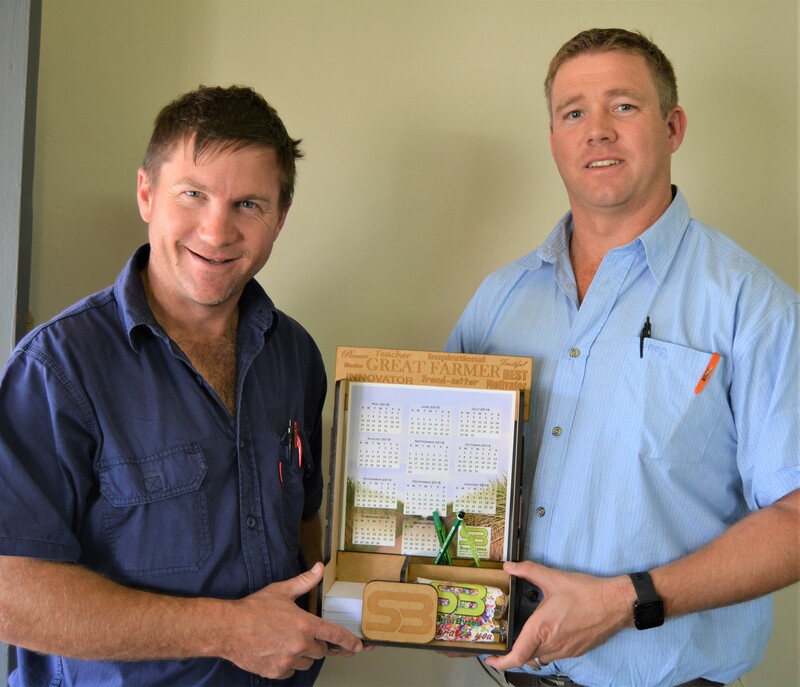 Quinn further supplemented his farming knowledge by studying at Lowveld Agricultural College after school. He recommends a practical education as a great foundation for anyone wanting to pursue farming as a career. Before landing at Evelyn, Quinn also worked for Anthony Balcomb, Ronny Groom and UCL. But, when the Goble operation grew to the point where Ant wanted managers to handle the detail of specific crops so that he could step into more of a ‘co-ordination’ role, he employed Quinn to head up sugarcane and Scott to oversee macadamias and bananas. Now Ant has more time to serve the various industry bodies supporting the crops he has chosen, and thereby take an active role on a more strategic level. Bananas are another pillar of the plan. Currently there are 27 hectares. Ant explains that bananas outrun cane when it comes to income per hectare, partly because they can be harvested in 15 months. This is why they are currently being used to partially compensate for the drain that establishing a macadamia orchard has on an organisation. Their portion of the land will increase and I suspect they’ll come in handy again when the avo orchards are nursed to production. This diversification strategy will result in an operation that can withstand individual industry dips, like the current slump in sugar prices or maybe the global glut that some anti-mac camps predict … any way you look at it, the advantages of diversification seem to outweigh the challenges. So, if Ant isn’t going to take away from his cane operation, how is he going to find land for all these other crops? 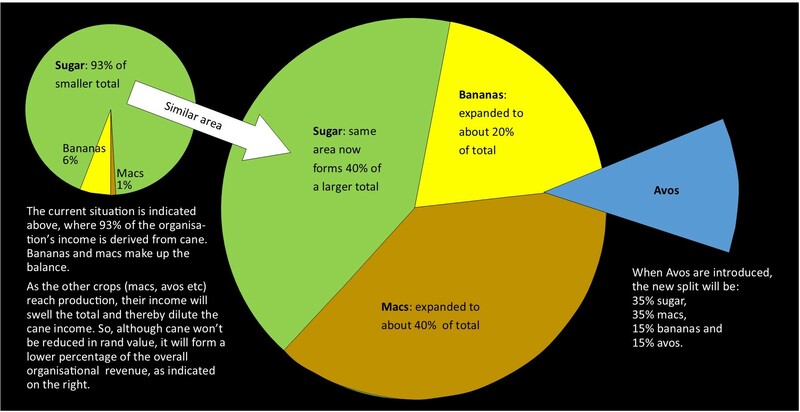 Firstly, when you have 2300 hectares under cane, 25 hectares forms only 1% and this is about the amount Ant plans to put into the other crops annually. This will be more than compensated by the additional cane land he accumulates as he signs new leases. Growth is a key element of this strategy, but it doesn’t have to be a pure case of more land but rather a case of better use of more land. At this point Ant glances at Quinn who he knows sits with the practical end of his grand schemes. Every now and then Quinn gets handed a new map, detailing a fresh canvas on which to deliver his sugary excellence. The portfolio grows constantly and I am inspired by the continuous dynamic thread that weaves this green tapestry together. Now, to drill down into sugarcane specifically: here, I chose to ask Quinn what he does that underpins his success rather than to lead him into things that I think are important discussion points. I was surprised (and pleased) to hear him go straight to people. Hiring the right people is foundational. The right attitude trumps education or experience. Willing students are invaluable to this growing enterprise. The human resources motto, here at ND Goble, is “70% attitude, 30% skill”. This is often a challenge when they sign new leases and retain the incumbent staff, as the culture may be different. They’ve managed to do this though and carefully monitor absenteeism as an indicator of staff attitude. Last year, their target was 4%. This year they’re tracking at 1,1% and therefore had to drop the annual goal to 2% just to make it a challenge. There are over 400 staff here, in total. Very few of them are seasonal as the large seed cane crop in off-season keeps the cutters busy. Handling absenteeism over this large a workforce took some creativity and here’s how they have managed to achieve it with the cutters in particular: They have empowered the Indunas to deal with absenteeism themselves. This delegation of authority has worked well. Every week, the stats are shared with the workers via the Indunas. It reflects their average daily production. The benchmark is 3,5 tonnes per day (cut and stack). Good cutters, who can get up to 4,5 to 5 tonnes per day, are often prone to absenteeism which drops their daily average. If this dips below the benchmark, their contracts are not renewed. They’ve now learnt that consistency is as valuable as high productivity and absenteeism has dropped to the levels seen now. It’s simple, but has been highly effective. These two initiatives – the minimum daily average and the daily hot meal – have resulted in 120 cutters this year, doing what 160 cutters did, last year. Ant emphasises that this hot meal is over and above their wage for the day. This is the 3rd year they’ve run these initiatives but it is the first year that it has shown results – just in case any of you want to employ the same strategy and are expecting immediate results – the culture takes a while to take root, be understood and yield fruit. CanePro is the programme used to deliver the stats required to run something like this. 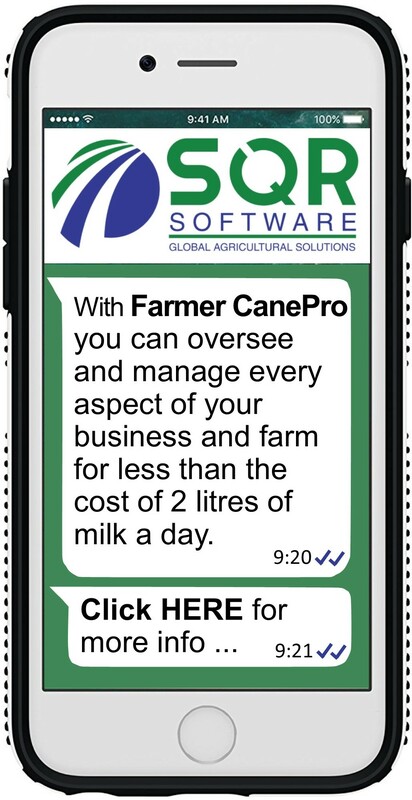 If anyone out there isn’t taking full advantage of their agricultural software packages, the advice is to do so. You own the programme already, so invest the time and put it to work. So, once you have the best staff, and they’re well motivated, you need to communicate clearly with them. Leave no room for miscommunication. Currently, that means that your Zulu needs to be fluent but, as times are changing quickly, and less Zulu is spoken between the farmer’s and labourer’s children, it might mean that the next generation communicates in English only. Our world is just too dynamic to know for sure. Also important to mention here is that Ant believes that, in the pursuit of excellence, you need to be careful not to stretch people beyond their limits. Staff need to have the time to dive into the detail of their specialities. For this reason, Ant employs specialists as soon as the division grows large enough to support one. Simiah, is an agronomist who has recently been employed to watch the detail of herbiciding and fertilising, is an example of that philosophy. Next in importance on the Goble estate is soil health. The goal is 0% acid stats. Adrean has convinced Ant that this the point at which the soil best supports a healthy cane plant. Quinn therefore ensures that every ratoon field receives 1 ½ tonnes lime & 1 ½ gypsum after every harvest (where necessary- many fields are at 0% already). Plant cane gets 3 tonnes of each. Chicken Litter. Although unbalanced, this natural fertiliser contains approx. 130kgs of potassium and 40kgs of phosphorous per 8 tonnes. 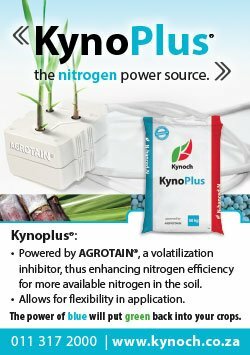 It also contains about 84kgs of available nitrogen per 8 tonnes. After harvest, every field gets 8T chicken litter per hectare, regardless of what soil samples say. Split fertiliser applications. Leaching of nutrients is always a concern as it equates to flushing your money away. If the plant cannot absorb all the fertiliser before a heavy downpour, then it is wasted. By giving the plant two smaller helpings you minimise the waste. Climate change has seen higher frequencies of these heavy downpours. This is a new motivation for splitting ferti applications – previously, I had understood it to be a cost saving measure as sometimes the field doesn’t require the second application, so by splitting you save half the product. Now I understand that it’s not only about saving money but getting the maximum return on your investment as well. Green manuring. Most fields are planted to madumbis during their fallow period. 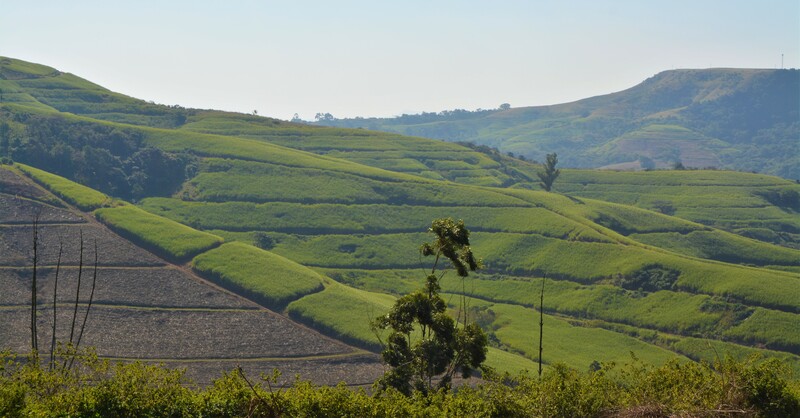 The land is prepped for the specialist madumbi farmers who come in and grow their crop for a year. 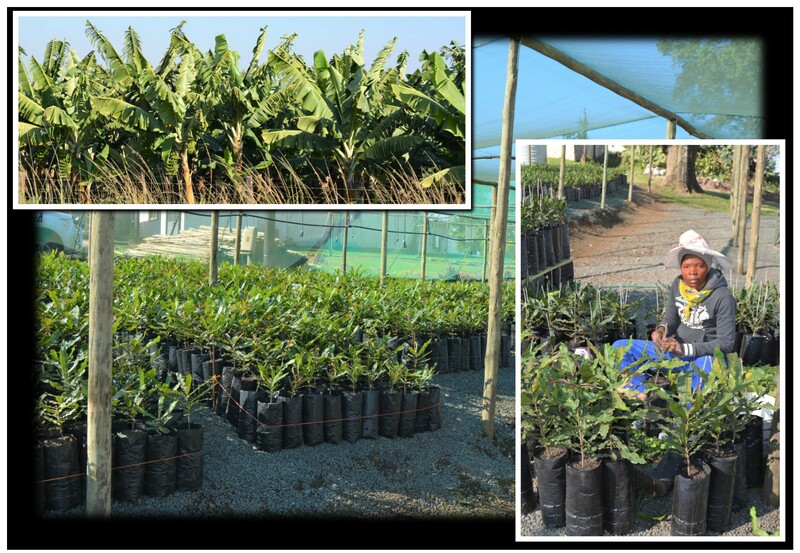 After they harvest, the leaves are returned to the soil to boost the organic content. There is no specific reason for using madumbis besides that they do well in these soils. Sometimes, oats or a mixed crop (sunflower, sunhemp, millet and sorghum) is used for green manuring instead. Use slow release fertilisers, like LAN. Ant does this so that he can use the wet weather to turn his attention to herbiciding. (The same gangs and tractors are responsible for weeds and fertilising) Weed control is paramount and takes priority over fertilising so, when there is rain, Ant uses soft chemicals, applied more frequently, to control weeds. Then, when the weeds are under control, the fertilising continues. Limit the use of blends. The only blend used here is 2:3:4, in the furrow during planting. Besides the chicken litter, all ratoon fields get KCL (potassium chloride), as per the soil sample recommendations. This saves having to keep stock of a range of blends as well as changing the contents of ferti applicators when moving between fields. Potassium delivered in the chicken litter may need to be topped up and that happens with the KCL. So, each field is fed nitrogen in 3 rounds: 1 – chicken litter, 2 – first application of LAN-based ferti, 3 – second application of LAN-based ferti. KCL is fed in two applications: 1 – chicken litter, 2 – in the KCL deposit. KCL does not volatilise so that is applied immediately after cutting, even throughout winter. If the cane is lodged. Trashing lodged cane compromises productivity to the point where it undoes all their progress in this arena. 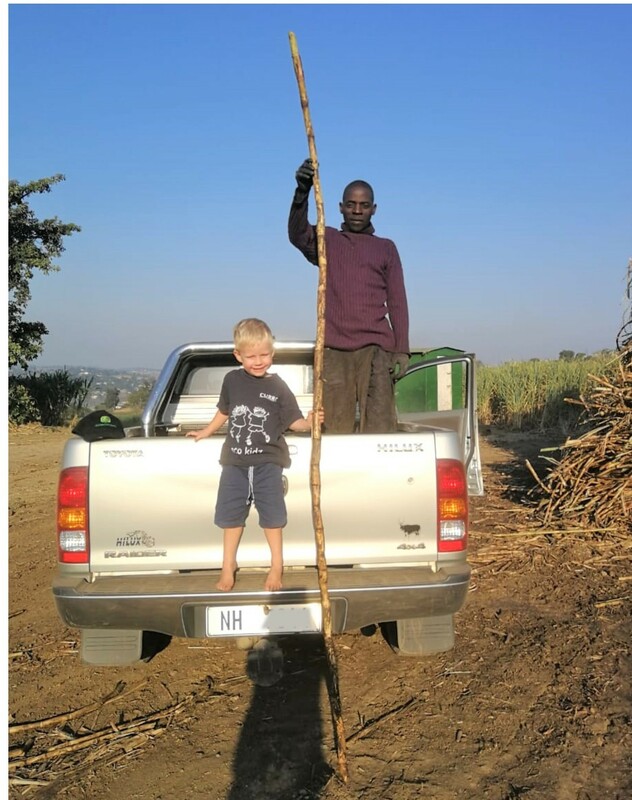 As this estate is trying to extend growing cycles from 15 to 18 months, and 18 months is generally the point at which the cane starts to lodge, trashing becomes more the exception than the rule. Hairy cane is unpleasant to trash so, when N31, N52 (unless it’s raining) and N51 are on the schedule, the matches come with. If the cane is going to be ploughed out after this harvest. Even if it is one cut away from plough out – if it is a field that hasn’t been trashed to this point, they’ll spare the effort and burn. A lot of leased land is on Community boundaries (the source of most accidental fires) so, in the interests of limiting unnecessary risks, most of the boundary fields are burnt. Payloads are better with burnt cane. Purity is better with burnt cane. Trashworm infestations are an issue. Trashing is employed when there is a lot of cane on the ground as burnt cane deteriorates faster than trashed cane. When trashing, Quinn is careful to monitor the fibre content report he receives from the mill and gives immediate feedback to the Indunas so that they can correct any issues as soon as possible. Cutters are paid a higher rate when trash harvesting. From all the points above, Ant and Quinn conclude that a practical mix of trashing and burning works better than a 100% commitment to either method of harvesting. How do you decide when to plough out? The fields are always being scanned, and all performance factors (yield, RV, soils, weather, variety, new opportunities and even lease terms) considered before the fields that have come to the end of their usefulness are pinpointed. There is no hard and fast percentage: some years may see 20% replanting and some, as little as 5%. But once candidates are selected, a 3-year planning phase commences. Ant and Quinn prefer to open the season with the fields to be ploughed out so that the field can enjoy a fallow period and be replanted by Christmas. This means that they need to be harvested, for the penultimate time, in October, thus allowing 18 months growth cycle until the following season opens. Once the field has been harvested for the last time, chicken litter, lime and gypsum is immediately put down and a big harrow run across the field to incorporate the additives evenly and stop chicken litter blowing away. This practice follows advice from Neil Miles at SASRI who explains that incorporating these supplements into the soil BEFORE ploughing is important to avoid banding. Once they’re worked in, then the plough comes through to loosen the soil and after that, the field is disked again. The fallow period follows and the green manure ploughed through when ready. Another light disc and ridging follows. You’ll notice that Round Up has not been required in this process of plough out and replanting. It is only used on very steep slopes where tractors struggle to operate. Goble Estates have a dedicated roads team that cares for all infrastructure. When fields are ploughed out, the heavy equipment comes onto the surrounding roads and does whatever needs to be done to prepare them for the next 10 to 15 years. This reduces vehicle damage caused by inferior roads. Everything here is ripened. 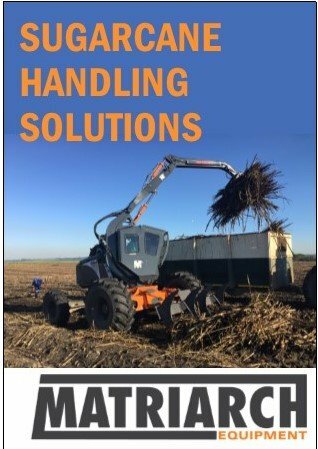 A ‘piggy-back’ strategy of growth stimulation and herbicide is used: Ethapon is applied to younger cane – this ‘stretches’ the cane a bit so that the maximum growth is extracted, and then Fusilade is applied to maximise sucrose content. 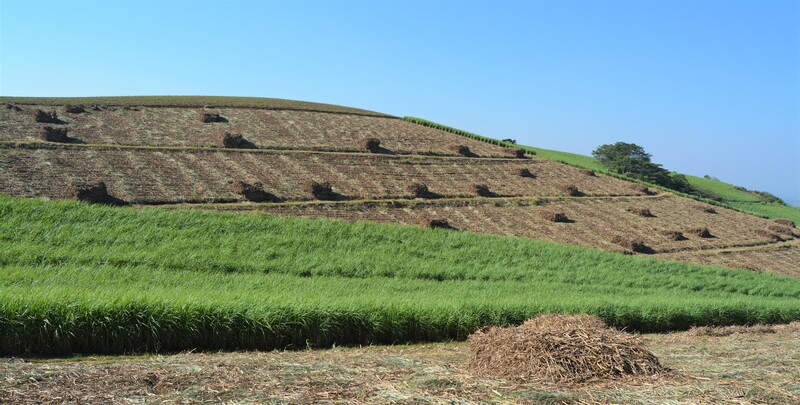 When it comes to older cane, where growth has already maxed out, only Fusilade will be applied. Portable weigh bridges are placed on the zone. The tractors drive over the scale and cutters tickets are endorsed. Then the hydraulic arms on the side-loading trailers spill the cane onto the zone. A Matriarch cane loader then loads the loose cane into trailers. Transport is handled by a company in which Ant has shares and manages day to day. Every truck trailer has loading cells that measure the exact load. Although these units are expensive Ant believes they are good investments – not only because they highlight overloading but, more importantly, underloading. Avoiding underloading is also the reason behind loading loose cane as opposed to bundles. Ant explains that, when loading bundles with a crane, you are limited to loading a full bundle or nothing at all. The cost of this is realised at the end of a load, eg: You have capacity to load 2 more tonnes but your bundles are all 3 tonnes; if you overload, you risk rejection at the mill. If you underload, you affect the bottom line of your transportation costs. Although this is not felt immediately, it is something that adds up quickly, quietly eating away at your profit margins. 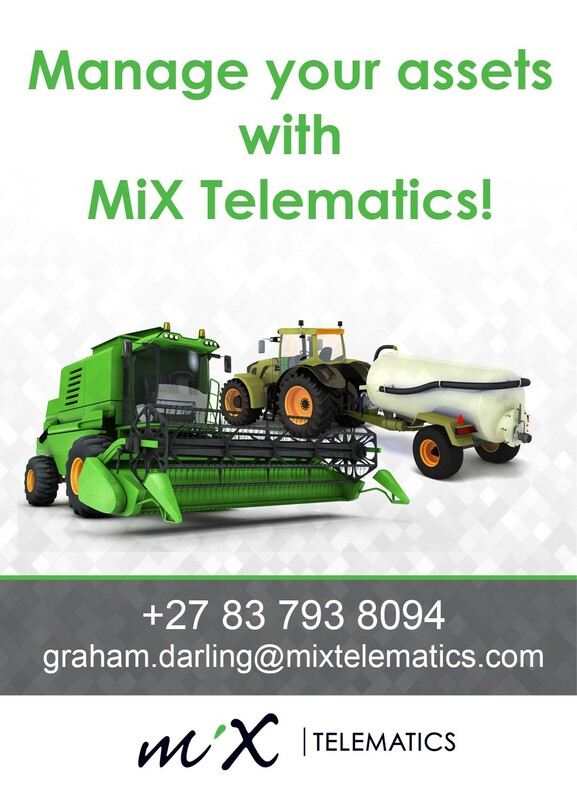 Another valuable measuring and monitoring tool on all Ant’s trucks are the MiX Telematics fleet management units (MiX Telematics bought Compass Fleet Management in 2014) – the costs hereof are easily covered in the savings that result from improved responsible driver behaviour. Goble Estates produce all their own seedcane. Last year they planted 3000 tonnes and sold a further 4000 tonnes. Currently there is an abundance of N39 but they are getting rid of it quite quickly, choosing instead to use some of the newer varieties like N48, N51 and N52. They are also planning in some more N54, N55, N58, and N59 – which is proving to be rather impressive, especially in the valley bottoms, along with N55 and N48. N52 is probably the favourite child right now but, no matter how well a variety does it will always be limited to no more that 25% of the land because anything can happen to a variety (N29 being the biggest case in point). Some of the seed cane is heat treated at the central plant at Gledhow. 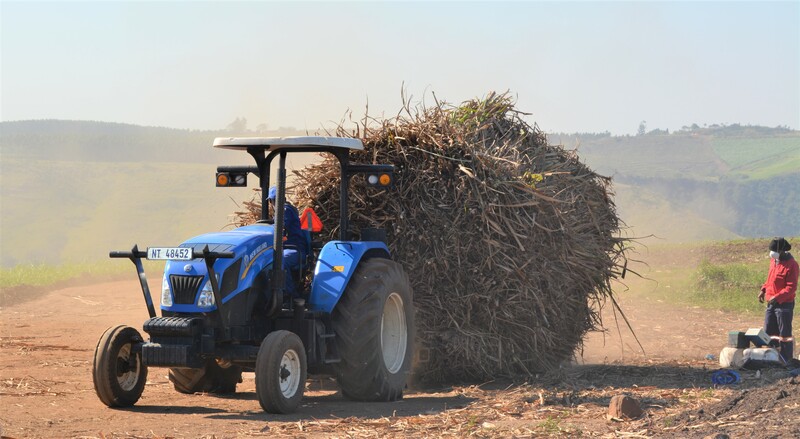 Heat-treated cane will be placed in the 200 -250mm deep furrow in an overlapped formation; untreated cane is placed ‘double stick, head to toe’. 2:3:4 fertiliser at a rate of 200kgs per hectare is then placed in the furrow and the cane sticks cut into about 30cm pieces. At this point, I was ready to hear about the spraying for Thrips but Quinn doesn’t do that; they try to finish all planting by Christmas, Thrips only arrives in February and because the chemicals have a 3-month lifespan, it makes spraying marginally useful at best. They prefer to focus on a recipe of healthy soils + healthy plants = lower insect damage. Having said this, Yellow aphid have given them the run-around the last few years … SASRI is working hard to learn more about its movements and characteristics. Until they formulate a better battle plan, Simiah continues to watch all fields carefully and spray it when they find it. Once the furrows are closed with hoes, and fields are levelled carefully, and when spiking presents, herbicides are sprayed. Quinn prefers to use softer chemicals more often as opposed to fewer applications of harsher chemicals. So, every 6 to 8 weeks after planting and before canopy, herbicides are sprayed. Spot-spraying teams keep any anomalies in check. The benefit of doing this over hand-weeding is that the herbicides used to spot spray have residual values that hoes don’t. Eldana is a problem in this area. Ant laughs about keeping P&D very busy. They monitor and sample and if there is more than 1% stalk red or a count higher than 2 or 3, the Jacto comes out. Generally, the programme is to apply Fastac at the end of July and Coragen in October. Fastac is repeated in December and Coragen in February although this last application is seldom necessary. 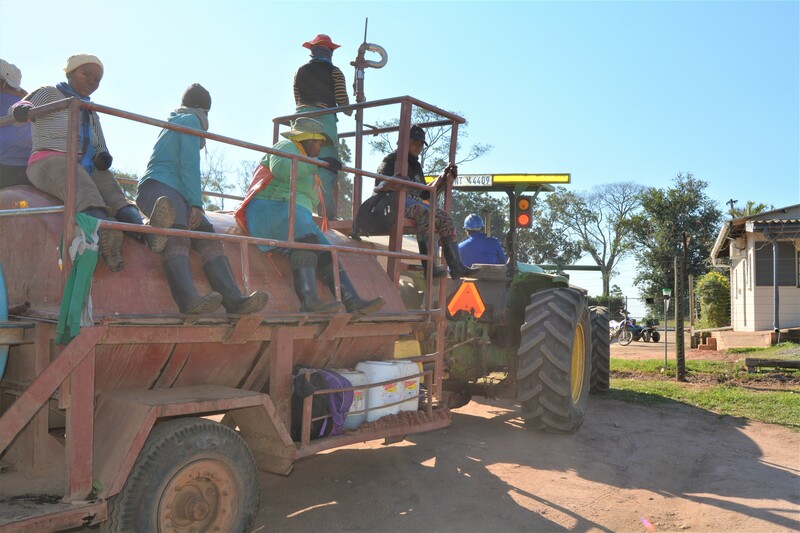 Spraying pesticides is something these farmers are cautious about and reluctant to do; it is only done when necessary and after careful consideration – hence the extensive use of P&D’s services. Ant feels that a common fallacy is that seasonal cane doesn’t have Eldana. He thinks it’s more likely that it just isn’t being checked. When you age the cane, as is the intention here on the Goble estates, the infestation becomes more evident and damaging, and spraying is therefore essential. I have previously spoken to farmers about futuristic tools like drones and Ant has actually already invested in an agricultural drone R&D business called PACSys (Precision Agricultural Systems). He’s even gone so far as to dedicate a licensed drone pilot / specialist at ND Goble to their in-house drone operations as they await the relevant licenses! His name is Griffin. The CAA (Civil Aviation Authority) is the government body handling legislation in this arena and due to suddenly a great deal of pressure from the drone space, they seem to be falling behind the technology and most importantly, grower demands. The intention is to use the drones mostly for ripening, which is currently handled by choppers and microlights. 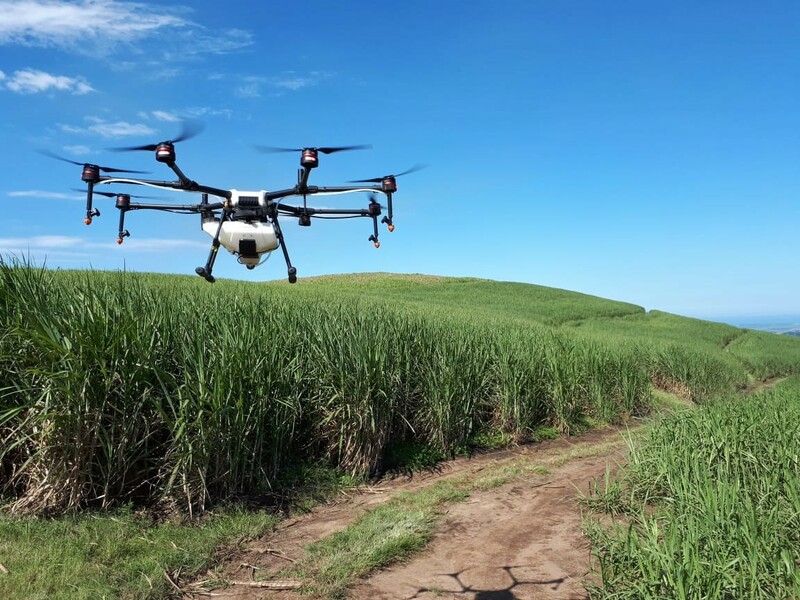 The financial benefits will be substantial but more importantly, they’ll be able to ripen what they want, when they want, without having to fit into a pilot’s schedule or even the sun’s schedule for that matter – drones can operate at night!! This is particularly helpful as wind is generally less than night as well. Under-spraying and over-spraying will also be a thing of the past. Smaller farmers, who cannot access ripening services now, because their land is too small, will also now have access to high quality ripening. Another project on the horizon is to drip-feed the cane through subsurface drip irrigation systems. This methodology is already being employed with the macs with outstanding results: the macs are reaching productive maturity within 3 to 4 years! It is an extension of the split fertiliser application practice, taken to the nth degree: small, regular amounts of fertiliser is delivered continuously, with water to produce completely unstressed, supremely healthy plants. Lots of capital is required for this endeavour but Ant hopes the macs will facilitate this investment in the cane. The advice here is to keep your equipment as new as possible. Blue is the colour of choice here as the local Landini agents provide excellent support (the 2-wheel drive New Holland pictured above is not a recent purchase). Two running workshops ensure that all equipment is maintained well, which inspires the drivers to operate it respectfully. Lean and mean is the order here; all new tractors being bought are 4 x 4 so that they can do all jobs. In one of my recent farmer interviews, part of the discussion went around employing a mechanic vs running a larger fleet that can cover breakdowns and when to move from situation B into situation A. Here, Ant advises that if you can afford half the salary of a mechanic AND you hire the right person, you will quickly justify his full salary through the extra jobs that a person with the right attitude takes on. There’s always more to be done than what you think there is. Some other nifty equipment includes a high-rise tractor that enables herbicide spraying and fertiliser application on taller fields. It can do up to 15 hectares of herbicide spraying per day! 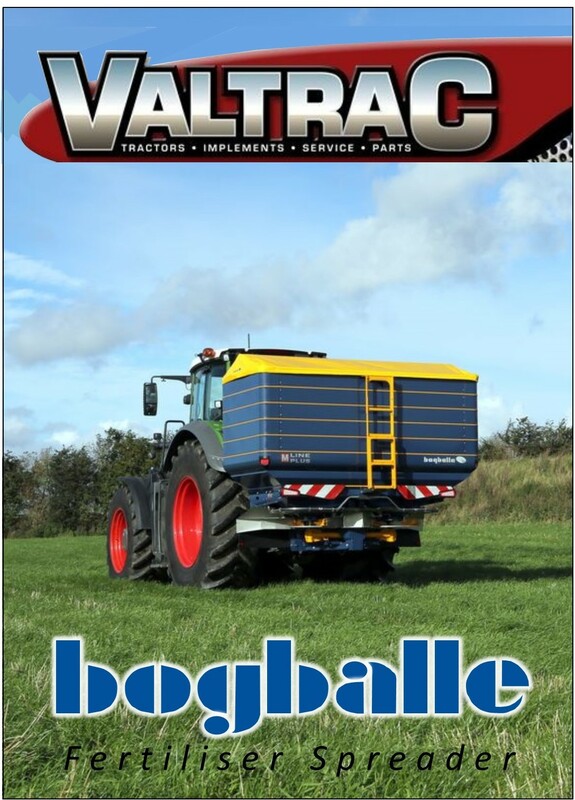 And then there’s the computerised fertiliser spreader called a Bogballe, marketed through Valtrac. Quinn says it’s been phenomenal for them. It can cover 30 to 40 hectares in a day. The technology, quality and cost impressed Ant. They do both emphasise that their driver is a particularly important part of the success of this equipment – having the right man in the seat cannot be underestimated. They also have a Landini crawler for ridging cane lines on the steep fields. Boys and their toys! Ant explains that there are no silver bullets. To be successful you just need to get the basics right. Don’t create fancy buildings on poor foundations. A practical example of this would be to start trashing before your soil acid sats are way down. Apply this philosophy of focusing on correcting the basics to all aspects of your operation and success will follow. Secondly – get your management right. By this he means employ the right people, then delegate and trust. No one can succeed as an island. Find the balance between being supportive and interfering with the people you choose to trust with the management of your operation. To all aspiring farmers, Quinn adds his emphasis to the importance of starting from the bottom and working your way up. There is immeasurable value in having previously done every task you expect your staff to do. Another important element of sustainable farming in South Africa is to engage the surrounding community and ‘shine a light’ into the darkness, which ND Goble does spectacularly: they’ve partnered with Angel projects and visit 10 schools that border the farms at a time, to assess how they can help. This may not necessarily involve a lot of money – it might just be making a phonecall to connect them with key people, or even just to send a tractor in to mow the lawn. Sometimes it gets a bit more meaty, like fence repairs or rebuilding. Water is a scarce commodity and one that hinders progress in many schools – if the ND Goble team can help here, they make it a priority. Underpinning this ambitious community upliftment is a genuine desire to share the substantial prosperity of ND Goble Trust with their neighbours – it’s selfless and self-sacrificing. It’s also inspiring and will have positive spin-offs for the business in the long run. There’s certainly no denying that this is a formidable pair whose ambition, attitude and aptitude will see them surpass any limits ‘regular’ farmers may set for themselves. Although we never had time to get philosophical during the interview, I surmised that the quote below applied to this team. 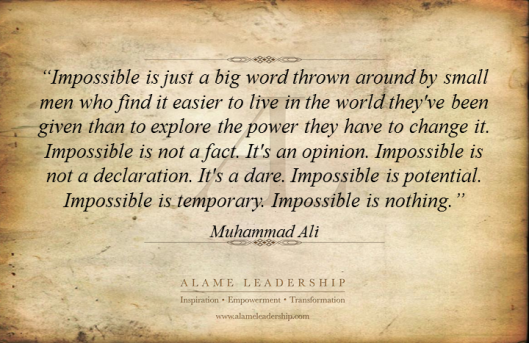 Whilst some of us prefer the security of boundaries and limitations, it’s doubtful that we will achieve the heights of the fearless ones – the ones for whom impossible is just a word … like I think it is for the team here at ND Goble.